I started working for the Community Cycling Center as part of the Portland Bureau of Planning and Sustainability’s (BPS) Climate Action Collaborative Cohort. 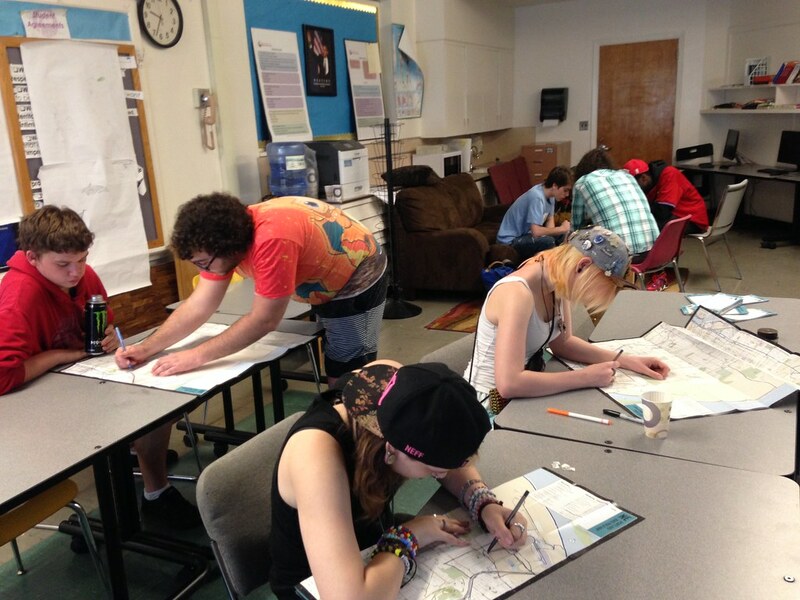 BPS assigned me to the Cycling Center to help Helensview High School students develop a community outreach project; a project that would connect the students to the greater Portland community while supporting the city’s climate action goals, such as increasing bike ridership and infrastructure. 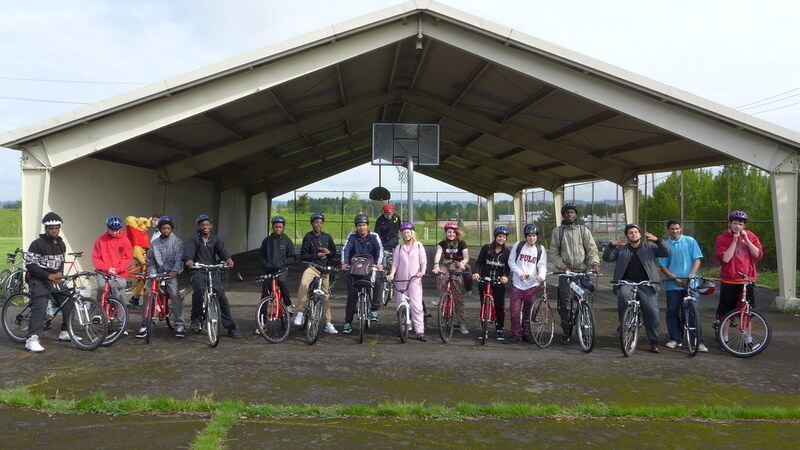 Helensview and the Community Cycling Center added the goal that the project should encourage and empower the youth to be civically engaged and agents in their own lives. For over 3 and a half months, the youth in Helensview High School learned the basics of bike mechanics with an ever-growing collection of donated bikes. They sorted, evaluated, took them apart, and put them back together, before finally having the chance to ride the bikes. For some students, it had been months or years since they last rode a bike. Over the weeks before this first ride, our class got together and the youth decided every element of the ride through a series of brainstorming and planning sessions. The event had to sum up a number of questions: what skills did they learn, how could we best show off those skills, and which route would be the most fun? 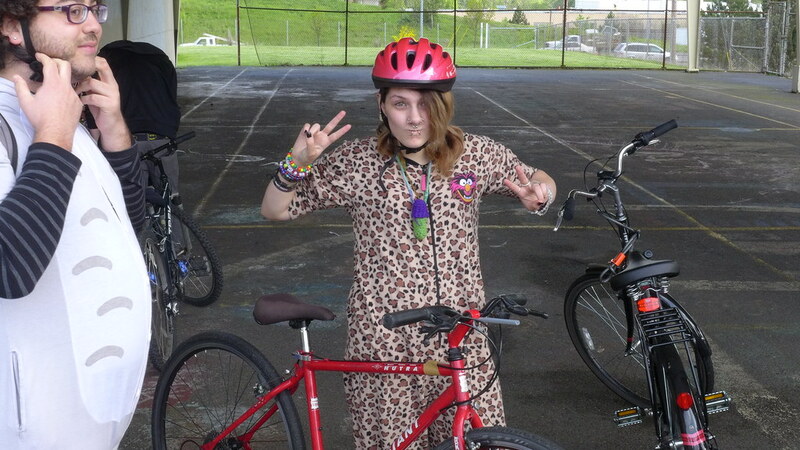 The students eventually settled on a neighborhood-centered, costumed bike ride for our project. This made the first ride both preparation for the main event and a cumulative test of everything they had learned in the bike mechanic class. In order to prepare for the ride with the full community, the youth would have to be able to evaluate and fix the donated bikes so even bike-less neighbors could participate. During that first ride, our students passed out handmade flyers to households in the Sumner community, engaging neighbors in conversations and stories about Helensview and the bike mechanic class. I was surprised and impressed with both how willing our students were to get out there and talk to the community, and overjoyed by how quickly everyone took to the bikes. In the end, we had a large turnout, but it was clear that regardless of how our final ride went, we could count the program as a success.